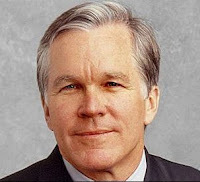 the nytpicker: Bill Keller: "Readers of The New York Times Do Not Need To Be Treated Like Fools." Bill Keller: "Readers of The New York Times Do Not Need To Be Treated Like Fools." Early this evening, after nearly 24 hours of radio silence, executive editor Bill Keller returned to the NYT website with an extended response to attacks on the paper's coverage of the Gaza War. In a rambling, 1,560-word essay, Keller spoke eloquently and with force on the issue, as he has all week deflecting criticism on numerous fronts. As with most NYT editors, Keller carries some arrogance into the discussion. But he seemingly can't help but defend his noble correspondents against charges that they're playing favorites in the age-old conflict. "When the author of Proverbs wrote 15:1 ("a gentle answer turneth away wrath") he clearly didn't foresee the passions that would beset his neighborhood a couple of millennia later. Gentle — and thoughtful, and agonized, and heartfelt — answers have consistently failed to turn away the wrath of those who believe that The Times is a captive of one side or the other, that our reporters in the field march to some partisan tune, that the articles and photographs we publish are part of a campaign to demonize Israel or, alternatively, to do the bidding of some Jewish cabal." From there, Keller then launches into a damning attack on the tabloid culture that uses scare headlines to inflame readers' emotions. Words are the main tools of our craft. They can be used to inform and explain. They can also be used to inflame, or to pander. The tabloid press has a vocabulary of headline words — HERO, THUG, MADMAN — that are aimed not at the minds of readers, or even at their hearts, but at their viscera. Over time, the promiscuous use of such overheated language and adolescent name-calling cheapens both the language and the user. And it is insulting to readers. It tells you what you are supposed to think, implying you are too stupid or insensitive to make your own judgment. I prefer to think that readers of The New York Times do not need to be treated like fools. Covering the Middle East is grueling work, emotionally taxing, intellectually challenging and sometimes physically perilous. The reporters who do it expect to be second-guessed, but they don't deserve to be vilified. One consistent element of Keller's answers to questions this week has been his eagerness to point out the high-quality work of his staff. Yes, it may come off as arrogance, but it also demonstrates Keller's loyalty to his reporters and his passion for their work. As a former reporter himself, Keller brings a clear-minded and fair perspective to the Gaza issue that's hard not to admire. Wonder why Keller waited until after the close of business on a Friday afternoon to put this out. It was the only admission of weakness all week by an editor who spent most of it passionately playing from a position of strength. He'll always argue, no matter what the topic, that the NYT covers it better than anyone else -- at one point this week he basically wrote off the Los Angeles Times as a second-rate paper, and had no nice words for the Washington Post.